Dozens of boys and girls jumped into the Upper Pool at Ladera Oaks Friday afternoon, swimming laps to raise money for My New Red Shoes. 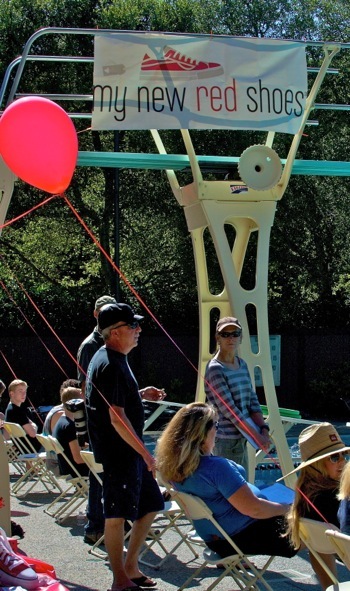 The kids secured pledges for each lap swum or by flat donations for participating in the event, according to MNRS philanthropic advisor Sue Sutherland. “The goal is for each child to raise at least $85 so that they can say they clothed a child for school,” she said. The mission of My New Red Shoes, founded by Menlo Park resident Heather Hopkins, is to help homeless and low-income children look and feel confident as they start the school year by providing them with new clothing and shoes.